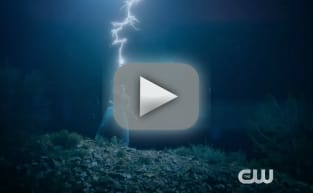 Roswell, New Mexico Season 1 Episode 11 revealed the fourth alien to viewers, and it was quite the surprise. Read on for the full review. On Roswell, New Mexico Season 1 Episode 10, the truth about the fourth alien was revealed, and Isobel went on a trip down memory lane. We have the full review! On Roswell, New Mexico Season 1 Episode 9, things took a turn when the group made their way to a faith healer for answers. We have the full review. On Roswell, New Mexico Season 1 Episode 8, Isobel's life hung in the balance as Max and Michael tried to find a way to save her life. We have the full review. 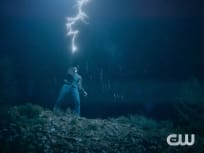 On Roswell, New Mexico Season 1 Episode 7, Liz learned more about the past, and created a weapon to take down the aliens in Roswell. We have the full review. On Roswell, New Mexico Season 1 Episode 6, the truth about what happened in 2008 was revealed, but who is the real killer? Read the full review. On Roswell, New Mexico Season 1 Episode 5, the truth about Rosa's death was revealed, while Isobel had an identity crisis. We have the full review. Roswell, New Mexico Review: Where Have All The Cowboys Gone? On Roswell, New Mexico Season 1 Episode 4, someone confessed to murdering Rosa and the other girls, and we are in shock. Read the full review. Roswell, New Mexico Review: Wait, Was Max Sleeping With Rosa?! On Roswell, New Mexico Season 1 Episode 3, Liz learned a stunning fact about Max's relationship with Rosa. We have the full review of a wild episode. On Roswell, New Mexico Season 1 Episode 2, Liz learned shocking details about the night Rosa died, but was she being lied to? We have the full review. Roswell, New Mexico Series Premiere Review: A Worthy Reboot? On Roswell. New Mexico Season 1, Liz Ortecho returns to town after ten years away, and a new alien mystery kicks off. We have the full review.